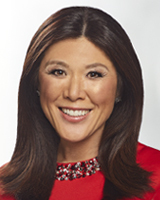 Nydia Han is 6abc's Consumer Investigative Reporter, Troubleshooter, and co-anchor of Action News Sunday mornings. She is also the creator of the documentary series, #ThisIsAmerica, a provocative, fresh look at who we are as Americans. Nydia is an Emmy award-winning journalist, committed to getting real results for our Action News viewers. She is dedicated to exposing scams, protecting consumers, and encouraging businesses and agencies to do the right thing. In her work related to #ThisIsAmerica, Nydia hopes to inspire all of us to get to know each other's unique American stories, check our own biases, and act as positive agents of change and unity in our communities. Nydia also covers general news as an Action News anchor and has traveled frequently to cover national stories. Prior to joining Action News in October of 2002, Nydia worked for KTRK-TV, the ABC station in Houston, Texas, and KOCO-TV in Oklahoma City. Nydia started her career as a reporter at KIFI-TV in Pocatello, Idaho. Nydia is dedicated to helping our community in a myriad of ways. She is on the community advisory board for the Asian American Women's Coalition and volunteers her time for a number of other organizations. She is especially passionate about raising awareness and desperately needed funds for lung cancer research after the passing of her mother in 2009. Nydia also enjoys mentoring aspiring journalists. Nydia received a Bachelor of Science in Journalism with a focus on International Studies from the Medill School of Journalism at Northwestern University. Fluent in Korean, Nydia also graduated from a program at Yonsei University in Seoul, Korea. Nydia is a mom to two young children, a wife and a friend. She enjoys good food, good wine, and most of all, a good laugh.